I got an email from Jeff Harrison, one of the co-founders of the The Carbon Project, letting me know that the powerful Gaia 3 viewer source code will now be part of the new CarbonTools PRO toolkit. For those who haven’t seen Gaia 3, it is a GIS visualization tool that allows you to integrate geospatial data from many, many data sources (Microsoft Virtual Earth, Yahoo! Maps, KML/KMZ, GML, WMS, WFS and WCS, Shapefile, Autodesk, Mapinfo and others) and view them on your desktop. 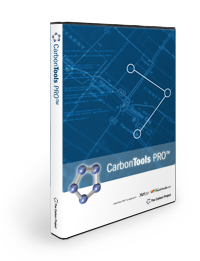 The application is pretty incredible on its own, but now anyone can utilize this application because** CarbonTools PRO toolkit includes the Gaia source code**! As a .NET shop, I’m excited, but it is the end of the year so there isn’t any money left in my development budget, but you can be damn sure I’ll be getting some room in next years budget for CarbonTools PRO toolkit, if just to get a look at that Gaia source code.